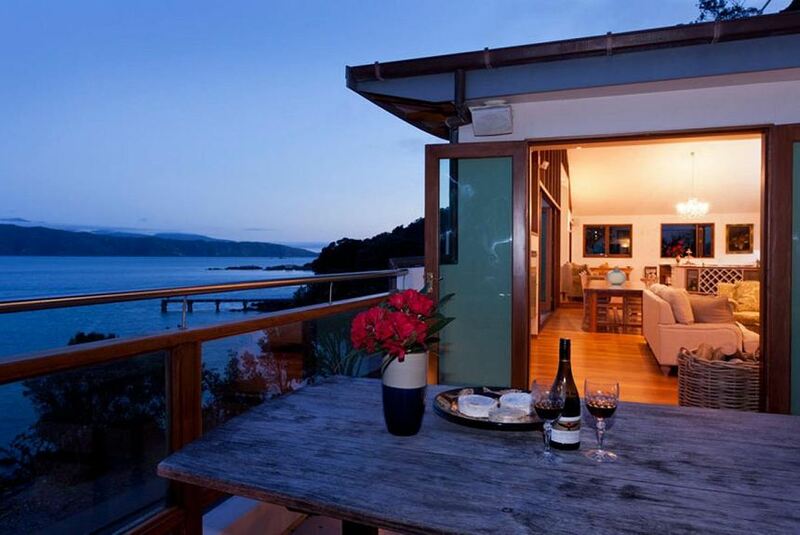 Edgewater Lodge is located in the historic seaside village of Karaka Bay, Wellington. Edgewater offers 3 guest rooms all with sea views of Wellington Harbour. Each room offers a flat-screen TV and tea/coffee making facilities. All rooms have en suite bathroom with complimentary toiletries. Edgewater Lodge B&B is a 15 minute walk from Weta Cave, the Lord of the Rings and Hobbit film studios. Wonderful seaside walks, cafes close by. Wellington Airport is 3 km away. Guests can enjoy a gourmet New Zealand breakfast, in the dining room in the morning sun over looking the seaside views. An array of activities can be enjoyed on site or in the surroundings, including cycling, fishing and snorkeling, beach walks. At Edgewater Lodge you will find luggage storage available.